Every year, TV fanatics everywhere get up bright and early to hear the year's Emmy nominations. And every year, we celebrate our favorite actors and actresses' nominations while simultaneously holding in our rage at those who were so unceremoniously snubbed. This year, the biggest Emmy snubs stung. They stung hard. Still, I am relieved beyond all get-out that favorites like Amy Poehler (Parks and Recreation), Matthew McConaughey (True Detective), Jon Hamm (Mad Men), and Lena Dunham (Girls) all got their due. And I'm practically doing cartwheels over nominations for Orange is the New Black, Benedict Cumberbatch (Sherlock), Kate Mara (House of Cards), and especially Laverne Cox for being the first transgender actress to nab a nomination. But there are still quite a few gaping holes that I can't help but scream about from the rooftops. Where's the love for Golden Globe winner and Fox's latest hit Brooklyn Nine-Nine? Andy Samberg is nowhere to be found. 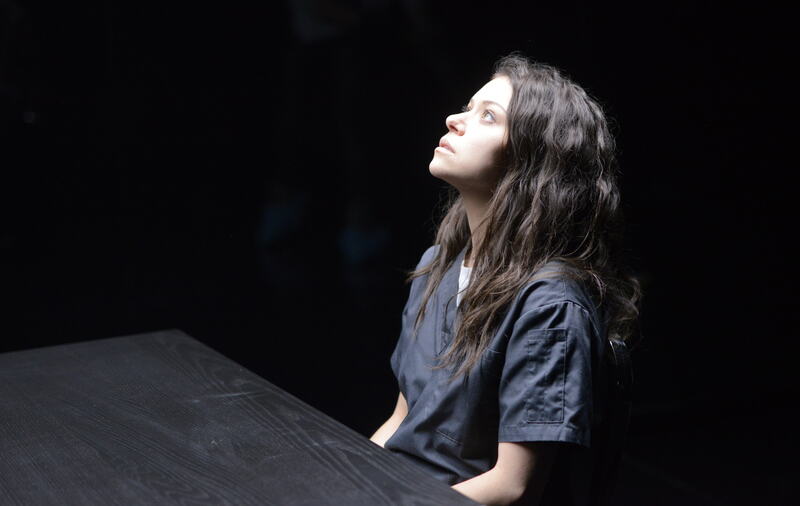 Why isn't the name Orphan Black even slightly familiar to Emmys voters? Hell, Tatiana Maslany should probably be nominated about 10 times for all the characters she brings to life on the BBC America drama. Look, I'm not that into genre shows, and I understand the Academy's aversion to rewarding performances within them. The phrase "she's nominated for playing a bunch of clones" probably doesn't sit well with the more distinguished members of the bunch. But this is 2014, guys. We're contemporary people and we know that playing a science fiction-y character can be just as challenging as playing a meth-dealing chemistry teacher. I suppose there is always next year. Leslie Knope got her dream job, had kids, and is basically running the world on JJ's waffles and friendship. What more do you want, Academy? I suppose if Pawnee had an emotionally unavailable nerd in a Flash t-shirt, it could finally get the respect it deserves. I can't even comprehend The Good Wife not being nominated for Best Drama Series. Clearly, True Detective pushed it out of its rightful spot and this is an impossible year, but maybe this is a time for the Academy to fudge the rules a bit. First, Good Wife fans lose our dear Will Gardner (thank God, Josh Charles nabbed one final nomination), but now, we're left out of the Drama race too? Shosh had an incredible season on Girls in 2014. She went on what my friends and I have been known to call a trampage, ruined her grades, basically had an emotional breakdown, and let her selfish friends really have it (we all wanted to tell Hannah how obsessed she is). And if Mamet didn't get nominated for all that, someone at least needs to recognize her crazy on point hair game. I suppose the Golden Globes really do mean nothing to the Emmys. Winner Andy Samberg got zero love and the show itself isn't even a blip on the Emmys' radar. (OK, Andre Braugher did but he's a bit of a shoo-in with this crowd.) Does Modern Family really need that slot again? (Yes, Kelsea, they need it so they can continue their reign of Emmys terror. Damnit.) Not only is this series well on its way to filling the Parks and Rec-sized hole that's about to open up in our hearts, it's freaking hilarious. And while I know Chelsea Peretti's Gina never stood a chance to beat out top candidates like Kate Mugrew (OITNB) and Julie Bowen (Modern Family's much decorated actress who'll probably steal this award with her impossibly toned arms once again), I'm going to go ahead and add her "snub" to my list of grievances. In addition to being blind to Saturday night programming of the non-variety, er, variety (like Orphan Black), it seems the Academy doesn't see Friday night TV as award-worthy. Hannibal may push my stomach's boundaries with all of its gore and sliced up dead people, but damn is it a good show. Mads Mikelson had no chance with this year's tight race (thanks, Woody and the McConaissance) and the Drama race didn't even have room for standby The Good Wife, but I stand by my rage. This Scandal actress might be the only reason I continued watching this season, because Shonda Rhimes flagship series was a mess. But through it all, Young's Mellie kept us anchored as she was dealt the best storyline of the season, during which she made Mellie haters everywhere feel the pain. This woman deserves some recognition, even if she does the textbook Scandal overact. It's a style, OK? Look, I know the show itself is something of a beautiful, hilarious mess. But Kaling and Barinholtz are the sole reasons any pieces of that mess are held together. They are practically perfect in every way and it hurt just a little to see Kaling announcing those nominations without being able to read her own name aloud. Way harsh, guys. While the show itself got some unexpected love, many fans expected the late Welch (the series' breakout star died of lung cancer in December 2013) to earn a posthumous nomination, but alas, the Academy didn't reward his beloved performance.